It was a beautiful autumn morning when a fleet of black limousines pulled up in front of Madame Tussaud�s wax museum in New York City. As each car stopped, the chauffeur would step out and open the rear door. One by one, a handler and a dog would step out and pause. Together, they walked the red carpet across the pavement into the wax museum, smiling towards the assembled reporters and camera crews. 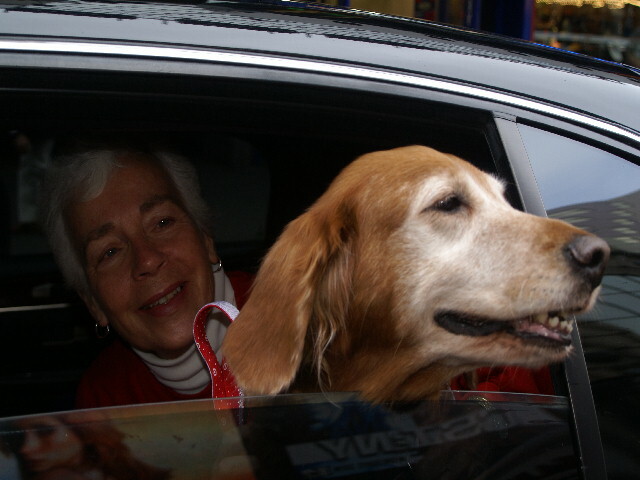 GRRI volunteer Linda Walter was amongst the eagerly awaiting crowd, camera poised to record that moment when the limo door opened and GRRI foster dog, Scarlett, and her foster mom, Terry Messinger, made their debut. Indoors, volunteers Eileen and Drew McFadden manned the rescue table and mingled with the crowd, answering questions and handing out literature about GRRI. There was a noticeable tension in the air; excitement was building. Rumors were spreading that Lassie was coming, as well as Bullseye�s female companion, Lady Jo-Jo, a striking white Standard Poodle. 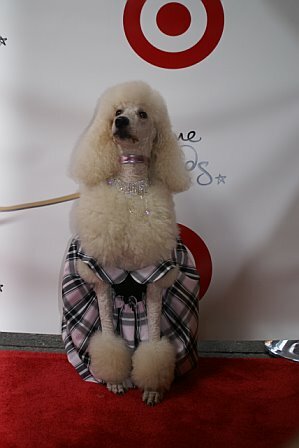 As with most rumors, it turned out to be true, and each magnificent dog had it�s own moment of fame as it walked down the runway. Then one last limo arrived. A pair of Rottweilers, dressed in black coats bearing the word �security�, assumed their positions at the beginning of the carpet. Meanwhile, inside the lobby of the museum, preparations were underway to unveil the latest addition to the wax museum. The rescue dogs and their handlers formed a semi circle in front of a draped area. Bullseye was led behind the curtain, and the curtain parted to reveal a life-sized replica of Bullseye � sitting next to the �real� Bullseye! Cameras flashed as the two dogs sat, side-by-side, neither moving. 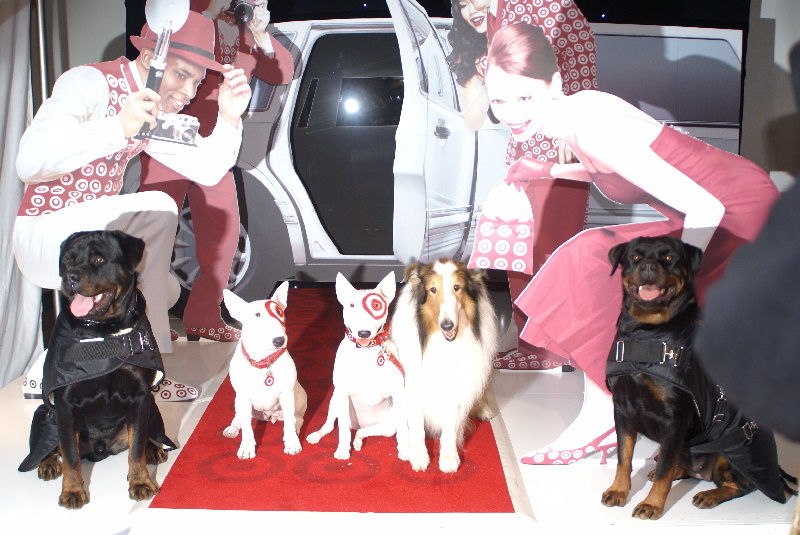 Lassie � never one to pass up a photo op � joined them. Bullseye was introduced as the first animal addition to the wax museum. 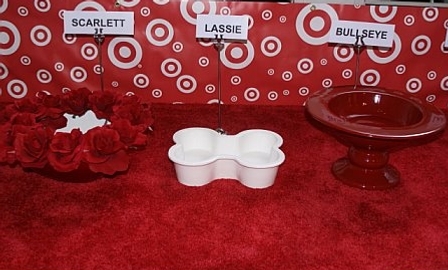 After the unveiling, the dogs were led to a canine �bar� where water bowls were arranged identified by place cards and decorated specially for them. Scarlett received a beautiful bowl decorated with scarlet silk roses. There were two buffet tables laden with goodies. 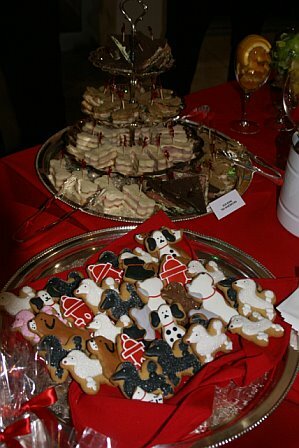 Beautifully decorated dog biscuits for the canine participants, and a separate table laden with delicious cookies decorated in a canine theme for the human attendees. 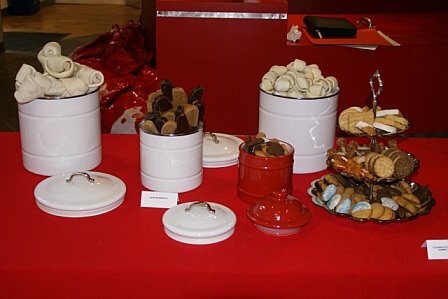 Finger sandwiches, cut in the shape of dog bones, soft drinks and coffee were also served. This truly was a first class event and GRRI was thrilled to be part of it. 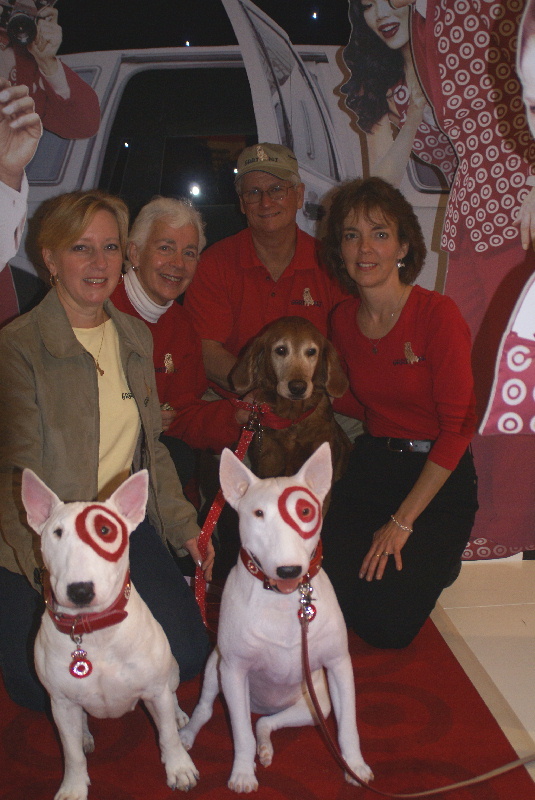 At the conclusion of the event Target announced that each of the participating rescue groups would receive a $1,000 check payable to their organization from The Target Corporation! 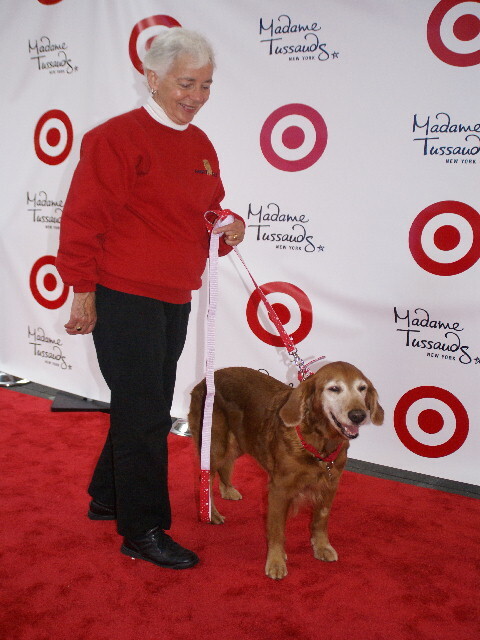 GRRI is so grateful for the opportunity to attend such a wonderful event and for the extremely generous donation from Target.